SNOWFLAKE OBSIDIAN (centre bead) - PROTECTION & POSITIVITY Provide balance during time of change. It is a stone of serenity & purity & can shield against negativity. Assist in focusing of energy into positive forces to pursue own's goals. 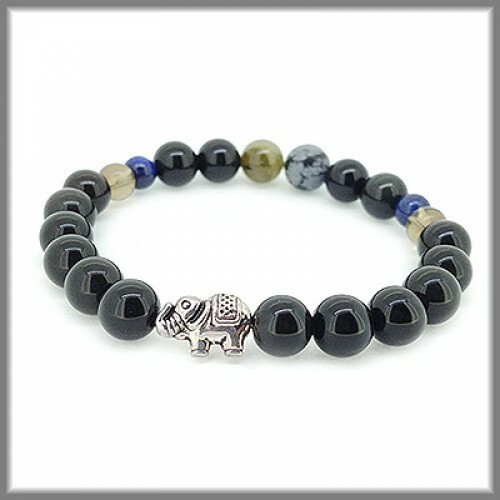 Blue Tiger's Eye is a very soothing stone help reducing stress, increasing calm & easing anxiety. It assist in better speech. 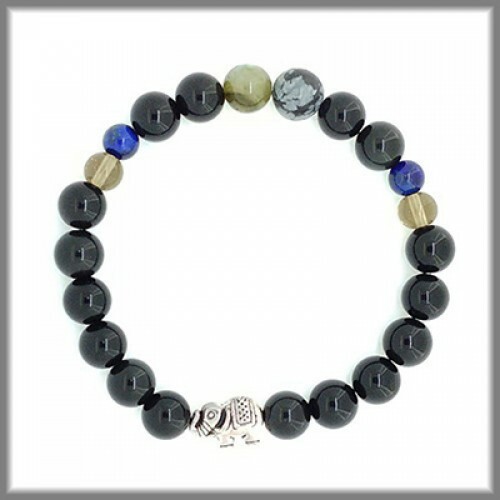 Dissipates Blocked energy & negativity.